Infrared camera to see Infrared marked cards in long distance. 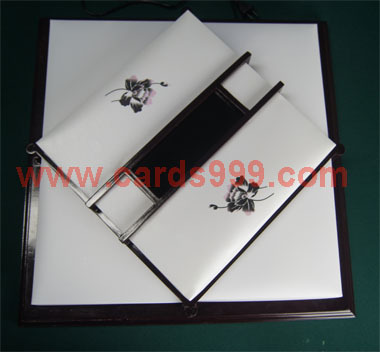 No need to put anything on the table, you can know each card like face up.Of course, the cards are processed. Normally the marked cards are undetectable by normal marked cards contact lenses or filter. You just need to install an infrared camera 2-6 meters far away. You can read the marks on the back of each card and transmitter the signal into your partners' ear with high privacy. With small volume, the infrared camera can be installed in wall picture, video camera or even clock. You can use remote control to make it on and off. Scanning area, image and distance can be adjust at your will.